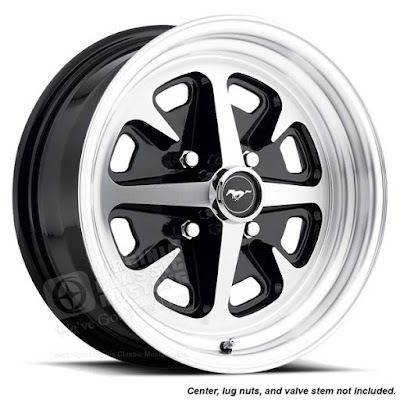 Virginia Classic Mustang Blog: New Wheels for Your 4 Lug / 6 Cylinder Mustang! New! New Wheels for Your 4 Lug / 6 Cylinder Mustang! New! New wheels for 4 lug / 6 cylinder Mustang, Falcon, Mercury, Ford. It's always tough to find a nice looking wheel if you have a 6 cylinder Mustang (or other Ford) with 4 lug wheels. That is why we are super excited to offer these awesome wheels for these cars. Our part number is HB-96A. Please click here for price and to read more.